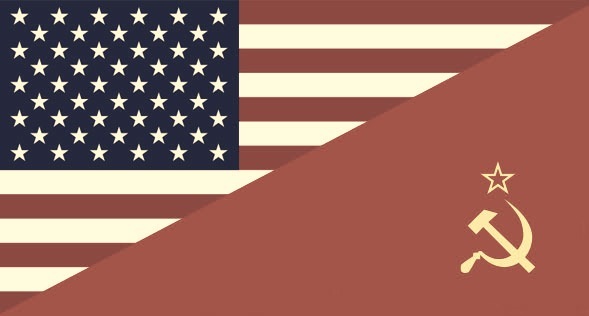 Joseph Stalin’s regime had effectively isolated the people of the Soviet Union from other nations after WWII, which ensured that American and Soviet citizens essentially had no contact with one another. This meant that the only information the public had about their counterparts in the other country came through their respective governments and media sources. The death of Stalin in 1953 opened the way for new leadership – in the form of Nikita Khrushchev – and a change in U.S.-Soviet relations. By 1955, the social and cultural isolation between the peoples of the Soviet Union and United States had become a cause for grave concern. That October, the two countries reached an agreement to increase exchanges of books and newspapers between their respective research libraries. Previously, only three libraries in the Soviet Union had been authorized to exchange materials with American institutions – the Lenin State Library and the libraries of the academies of science in both Leningrad and Moscow – and now all research libraries in the U.S.S.R. could do so. The participating American academic institutions included Harvard, Yale, Columbia, and the University of California (Hangen 1955, 1, 5). In 1956 alone, the Lenin Library in Moscow received 170,556 books, 102,457 periodicals, and 185 microfilms from foreign nations, while sending 186,771 books, 127,305 periodicals, and 1,689 microfilms to other countries (Horecky 1959, 212). (It should be noted that Soviet libraries used different methods than were used in the United States to compile statistics, and that the Soviet methods tended to yield higher statistical results (Ruggles and Swank, 1956, 57). President Eisenhower was in favor of wider cultural exchanges in hopes of bringing the two peoples together and thereby reducing hostilities between the U.S. and U.S.S.R. At the Geneva Foreign Ministers Conference of 1955, the U.S., France, and Britain submitted a proposal for a 17-point program that would remove barriers to normal exchanges in information media, sports, the arts, education, publications, science, and tourism, but it was rejected by the Soviets who did not like the proposal’s terms (Richmond 2003, 14-5). It would be three more years before any agreement on cultural exchanges was reached. 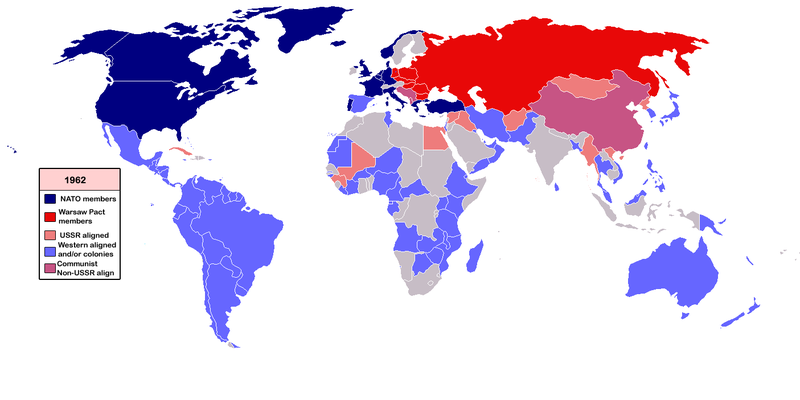 A map of the world’s division along ideological lines during the Cold War in 1962. In the meantime, the Cold War was in a “thaw” during the late 1950s, which was due in no little part to Eisenhower and Khrushchev, both of whom were interested in finding some common ground between their two nations to avoid nuclear war. During this time, the borders of the two countries cracked open, at least enough for the individual visits of numerous American librarians to the U.S.S.R., many of whom toured libraries such as the Lenin State Library in Moscow while in country (Gottlieb 1959, 98; Rogers 1973, 27; Whitby 1959, 485).